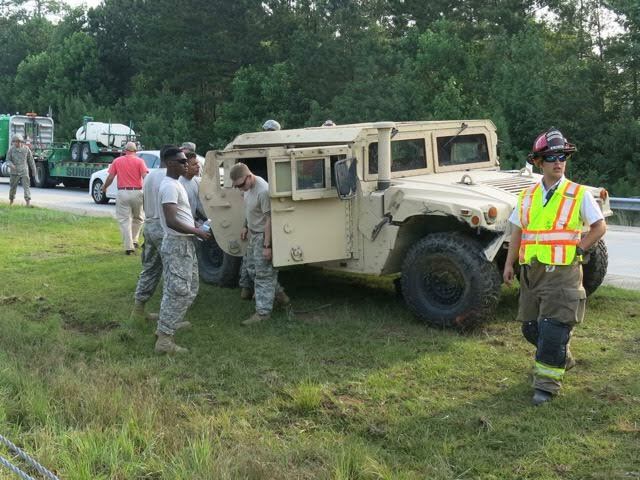 A military vehicle was involved in a two vehicle crash on Interstate 40 in Johnston County on Friday. 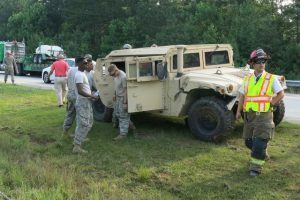 Around 7:30am, a number of vehicles from the 364 Engineer Company from Knightdale, an Army Reserve unit, was headed from Wake County to Fayetteville when a Chevy Traverse from West Virginia collided with a Humvee, which was leading military convoy. 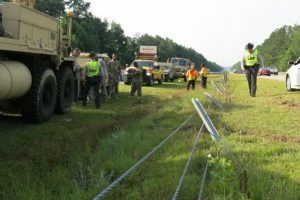 Troopers believe the driver of the Chevy may have fallen asleep, struck the guardrail and traveled back onto the interstate hitting the Humvee. 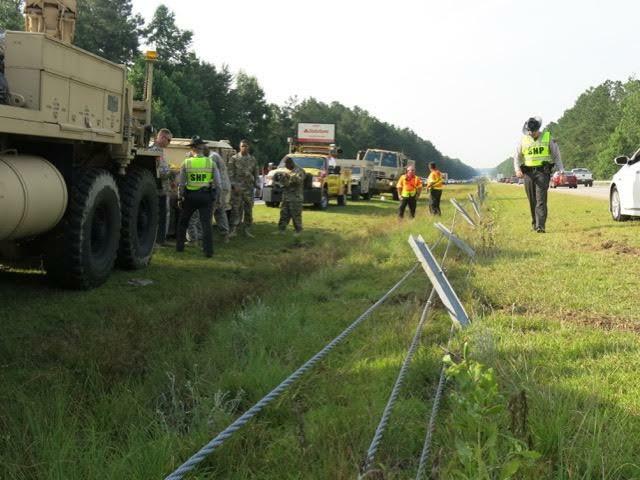 The driver of the Humvee swerved to avoid being hit but collided with divider cables in the median and overturned. A total of eight people including one child in the Chevy were taken to Wake Medical Center for treatment of non-life threatening injuries.